Just popped on to share a card that I made for my Step Mother's birthday which was on Wednesday. 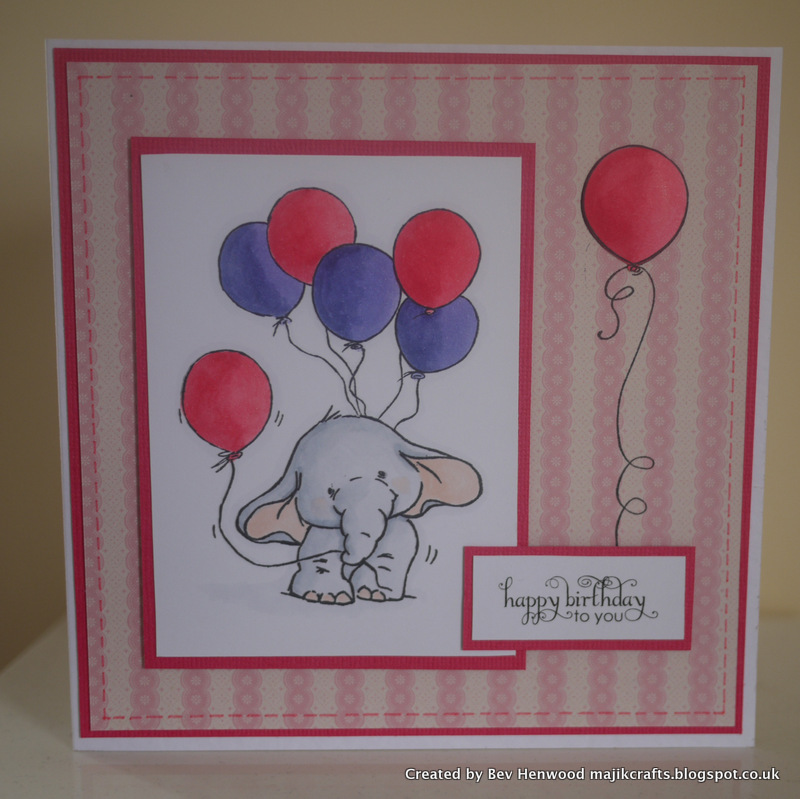 I couldn't resist using this 'Wild Rose Studio Bella With Balloons' stamp, I have been waiting for an appropriate opportunity to ink her up! 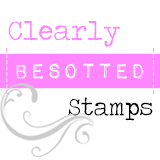 I stamped the image using Memento Tuxedo Black ink onto a piece of Craftwork Cards Digital Ultra Smooth Premium Cardstock and then coloured it in using Copics. I have then cut a mat out using some pink docrafts Papermania Textured Cardstock (the pack it came from is called 'Sizzling Red Hot'), the base card is again one of my cut down hammered white card blanks which I have layered with another piece of the pink Papermania card and then layered again with a very pretty paper from the First Edition 'Dreamcatcher' paper pad. To the side I then stamped the balloon from the Stampin Up 'Crazy for Cupcakes' set and although it is hard to make out on the photo, I have stamped the actual balloon out again and then coloured with copies to match the other balloons in the image and attached with silicone glue. The sentiment is from Pink Petticoat and this is mounted onto another piece of the pink cardstock and attached with 3D fixers. I sat the card on my desk for a day or two and decided it needed an 'edging' around the patterned paper, so with a ruler and a Marvy Le Plume pen in colour no 57 'Rose Pink' I drew faux stitching all around the edge ~ hope you like it. Woo-hoo ~ I have found out how to make my photos bigger on blogger ~ purely by accident. They look so much better now. 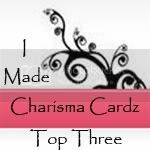 Blog break over so now I can catch up with your lovely makes. Loving this birthday card you made. Super neat faux stitching and I love the balloon coming from behind that lovely sentiment. Fabby owl card in the post previous too!! Very creative and gorgeous colours! I hope all is good with you. Hello, thank you so much for dropping by. My name is Beverley and I live in Denbighshire with my husband Dave and two gorgeous Bearded Collies called Majik and Merlyn, Oswald a rescue from Romania and a Westie called Misty. Hence the name of my blog. I have always been interested in crafts from a very early age and have dabbled in a few, but I absolutely love making cards and have been doing so for around four years. Feel free to have a good look around and comments are definitely most welcome! All content including text, photographs and design work belong to me. These designs are shared for personal inspiration use only. Designs may not be copied for the purpose of publication, design team work, contest submissions or to gain profit.